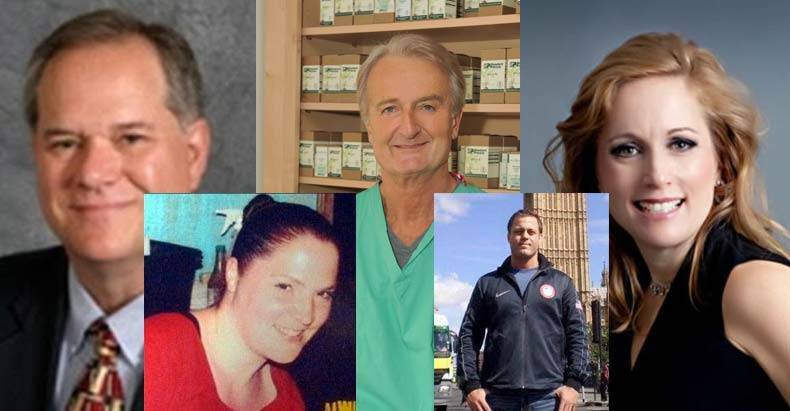 Over the past months, five natural health doctors have either mysteriously died or been intentionally killed, with another five having gone missing under unexplained circumstances. As we previously reported, the curious deaths began on June 19, when Dr. Jeff Bradstreet, a renowned autism researcher from Florida, now practicing in Georgia, was found with a gunshot wound to his chest. Police were quick to claim that the gunshot wound was self-inflicted, ruling the death a suicide almost immediately. The next suspicious death came only days later, on Father’s Day, June 21, when Dr. Bruce Hedendal, DC Ph.D., of the Miami area, was found slumped over in his car with no indication as to a cause of death. The details regarding Hedendal’s death are even murkier than that of Bradstreet, with very few details being released. Hedendal was reported to be extremely fit and had actually been doing an athletic event earlier in the day before being found dead. Raising the level of suspicion surrounding these doctor’s deaths was the fact that both had previously run into problems with the feds due to their holistic treatments of patients. Just weeks prior to Bradstreet’s death, his office was raided by the Food and Drug Administration (FDA). On the same day that Hedendal’s body was found, Dr. Baron Holt DC was found dead in Florida. Holt died unexpectedly while on a trip to Jacksonville, Fla. Although the 33-year-old Holt had been struggling with recent health issues, none were thought to be life-threatening by loved ones, according to The News & Observer. The report by the Observer indicated that the family is currently awaiting the results of an autopsy report. As if three dead doctors in the same field, in same region of the country, and in such a short time span didn’t already raise red flags, Dr. Teresa Sievers, another natural health doctor from Florida, was brutally murdered in her home on June 29. Then on July 1st, Lisa Riley DO, 34, residing in Lee County, Georgia, was found murdered in her home, with a gunshot wound to the head. Her husband was originally suspected, as he made the call to 911 to report her death, but many feel as though he’s being framed. Investigators have called her death mysterious. June 26th, Dr. Patrick Fitzpatrick MD goes missing. He was traveling from North Dakota to neighboring Montana (which he did often as his son lived in Montana) and his truck and trailer were found on the side of the road. Searches have expanded, but authorities say it’s like he vanished without a trace. June 29th, Jefferey Whiteside MD a pulmonologist went missing when he simply “walked away.” Dr Whiteside, known for his successful treatment of lung cancer, disappeared in Door County Wisconsin while vacationing with family. They say he was on foot and had no vehicle and numerous reports call it “mysterious” saying he too vanished without a trace. They’ve been searching now 2 weeks and even colleagues have joined in (along with many bloodhounds, drones search parties and helicopters) but not a shred of evidence in 2 weeks. On the same day Dr. Bradstreet’s body was found, June 19, three medical professionals along a remote stretch of highway in Mexico’s southwest Guerrero state vanished without a trace. Authorities insisted that the men had been killed, but offered no credible evidence to back up the claim. The seemingly systemic nature in which natural doctors are ending up either missing or dead raises serious questions as to whether some entity or person is possibly orchestrating these events. With billions of dollars at stake, what lengths would big pharma go to in an effort to silence those that share their knowledge of natural cures with the public? It seems that being a holistic health care provider that promotes natural health can now be dangerous to ones own health!